Another Mass Effect title is underway, but it won't be out for a while. Fans of the Mass Effect series probably already know that another title is in the works. While the story of the gender-neutral galactic savior Commander Shepard is over, BioWare believes that the galaxy is still big enough for another tale of space-faring adventure. 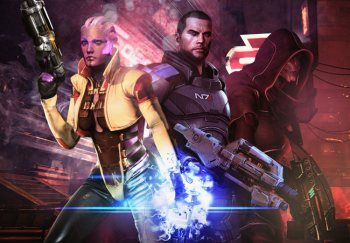 Mass Effect 4 (or possibly Mass Effect 0) is already in development, but won't be ready for quite some time, aiming for release between late 2014 and early 2015. "I honestly can't tell you an exact because full development on the game started a month or two ago," says Mike Gamble, a producer at BioWare, but explains that the game is still at least two years off. Since the game is still extremely early in development, Gamble doesn't expect too much more news to surface about it for the remaining few weeks of 2012. He assures fans that BioWare will reveal more information about the new Mass Effect entry sometime in 2013. Fans will surely debate whether or not Mass Effect needs another entry, as well as whether such an entry could prove itself a good game. Given its projected two-and-a-half-year development time, however, few could accuse it of being rushed. Love it or hate it, all indications point towards BioWare Montreal doing its best with a popular franchise. Update: The original interview at GamerSyndrome has been removed due to inaccurate sourcing. The information about the next Mass Effect's release date was "NOT an official Bioware or EA interview response," according to the site.